As part of the TOS Crew I get to participate in a weekly “blog walk” that allows me to check out the blogs of fellow crew members. This is a great way to get inspiration, both in the area of homeschooling as well as blogging! I am fairly new to this whole blog thing, having just started mine this year. 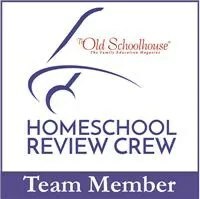 I am SO very excited to say that I have been given a chance to participate in the TOS homeschool review crew this year. I am very grateful for this opportunity! I will be completing my first review this month. I get to sample the June module for the TOS planner called “Travel the World”. I just downloaded it yesterday, and it looks great. It is full of information, websites and activities I will be able to use with both of my boys. I plan to start some of the reading and website activities next week, and then bring some of the fun puzzles and other exercises to complete during our trip next month. I can’t wait to share information about exciting and fun curriculum with all of you! Look for my review next month. Also, keep an eye out for the “blog cruise” which will be starting up again in August. I have a link to both the cruise and the TOS Crew page on the right of my blog! We are easing into summer break right now, and it’s nice to have some time off. We’ve done a little work on math and reading, but we are taking all of July off, and won’t start up again until the second week of August. I plan to do a few “fun” activities to keep my boys active, but nothing too heavy. Right now we are just enjoying some family time while I try to make sense of what we will be doing this next school year. You know how you have all these “big plans”, but when you sit down and look at them closely you realize you probably don’t need all of it? That’s where I’m at right now :). I’m so excited about homeschooling my children, and there is SO much stuff I WANT to do, but I think it’s very easy to go overboard and lose sight of the fact that the most important thing is just being with your kids. So for right now, I’m spending some time just reading for fun and trying to give myself a little “mental break”! I’ve spent so much time in research mode lately my brain actually hurts a little. I made a plan, then looked at the budget and revamped it, then did it again and again and again etc….I want to make sure I am doing enough for my kids. I think all hsers have little nagging voice in the back of their heads that says “What if you mess up? What if they can’t go to college/get a job etc.? What if you miss something important?”. The thing is, there is no guarantee that your child is going to get EVERYTHING they need whether they are in PS or not. At least with homeschooling you know your child is getting individual attention, and you are building important family bonds. I know that I am able to tailor my kids education to suit them, and we have the freedom to explore topics and subjects of interest to them that they might not get to see if they were in PS. I have decided to try to silence my little voice that can create such self-doubt and just go with my gut on what my children need. My grandpa used to tell me, “Your gut will never steer you wrong”, and he’s always been right! I know that with prayer and a dependence on God to provide what we need, our homeschool WILL be successful. There is a lot to look forward to in the coming year, but the biggest thing is the time I will have with my children and my husband. Time, it always seems like there’s not enough of it, and it’s the one thing in life you CAN”T get back, so I don’t want to waste a minute of it!! Now I am off to enjoy some beautiful weather and a lazy day with the family! !